26.2 miles of hell (or more sometimes more if you like your ultras). You put your body into a state that it would rarely go into in everyday life. It’s hard to explain how rapidly your body can give up on you when you hit that wall…it hurts! So why do marathon runners keep coming back for more!? Think of the runners you know who have said, ‘I’m never doing another marathon again’ and then you find they’ve entered another one the next day. I know I’ve done it. It’s because it’s a distance that is so hard to perfect. Regardless of your standard, most runners find it impossible to get everything just right on the day as well as in the build up. That’s what makes it so attractive. Runners understandably want to get the best out of themselves and the number of factors in marathon training and racing keep us coming back for more as we’re always learning and there’s always something we can do differently next time that we hope will improve our next performance. I love that about the distance. Over the last year I’ve built up for the London Marathon and Doha World 50k Champs. Along the way I’ve learnt a load of lessons. Some new, and some I already knew but got complacent with. I thought I’d take a different approach with this blog and look at some of the hard learned lessons. Some of you may remember that I ended up in hospital 3 weeks from London. I took a fall during a parkrun which resulted in me cutting a hole in my knee (almost to the bone) which subsequently got infected, had to be operated on and saw me in hospital for 5 days. 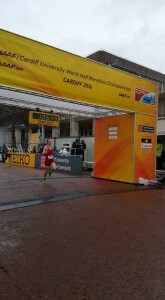 Things prior to that had been going well having run a half marathon pb only a week before in tough conditions in Cardiff. I was feeling good and thought I would include a parkrun in my ‘steady run’ which wasn’t in the plan. Although it was just bad luck, had I not been there it probably wouldn’t have happened. Lesson 1, stick to the plan! A few times during my build up to London and Doha I found myself feeling rundown. 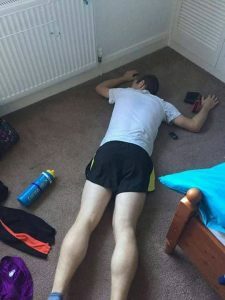 Training is tough and takes its toll and it’s quite easy to just think that you should just power through and get on with it. It’s at times like this though, when you’re fatigued, that you can do serious damage. Although I may do silly things now and again which makes James’ life hard we have honest conversations and I will tell him how I’m feeling and quite often we will adapt the training to tailor that. I know that some people are self coached so won’t always have someone there to tell them to stop, so instead just look for the warning signs. Normally someone will take great pleasure in telling you that you look dreadful. Failing that, if you’re waking up feeling sniffly or ill or you can’t walk properly then take a step back and assess what state you’re in. Lesson 2, listen to your body! This was one of the toughest lessons that I learnt during my build up to Doha. One long run I became complacent. I had planned to do a 24mile out and back run. I couldn’t be bothered to drive the route before hand to stash away drinks so I decided that running with a gel and a camel back would be sufficient. Everything was going fine until 11 miles in when I realised I was going through my water a lot quicker than I had anticipated. With only a mile to go I continued till my turn around point. By the time I got to 18miles I was completely out of water, exhausted, dehydrated and felt like I’d hit the wall. Bearing in mind this was only training, it was far from ideal. I ended up walking the last mile cursing myself at the thought of how I could allow my own stupidity to put my 50k training at risk. Fortunately there was no lasting damage. Hannah just had to put up with an incoherent voicemail from me sounding drunk and force feed me back to full strength. Doha will be my second ultra to go alongside the 6 marathons I’ve done. Compared to some marathoners out there I am far from experienced but I’ve found the more marathons I do the more I learn what works best for me. In my build up to my first couple of marathons I hit higher mileage at a slower pace with some big sessions. For whatever reason that didn’t work for me. James and I have found since that I do respond a lot better to slightly lower mileage at a quicker pace. Everyone seems to panic in the build-up to a marathon that their mileage isn’t high enough or their sessions aren’t long enough. Obviously when preparing for a marathon common sense has to prevail with some of your training, for example if your longest run is only 11miles then you’re in for a whole world of pain, but don’t get too bogged down with what everyone else is doing. Lesson 4 Find what works for you. 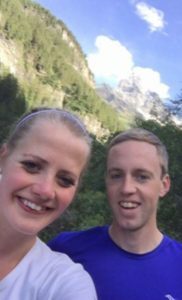 Training for a marathon can be hard work mentally as much as physically sometimes. I found it quite refreshing now and again to just run a measured route without a watch. Through marathon training you can hit peaks and troughs and you have some days where you just feel dreadful. Running by the watch all the time especially if it’s something like a garmin usually resulted in me getting quite competitive with the pace and what should have been ‘easy’ runs became tougher than they perhaps should have been. Every now and again it was just nice to go for an easy run and run how the body felt. Lesson 5, leave the watch at home now and again. Mixing it up and heading to the hills, without a watch! 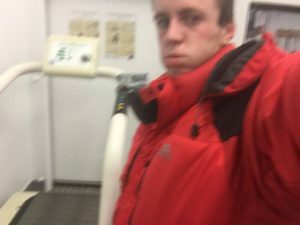 There are some days where I felt great and that I could go and run any distance at a great pace and other days (normally post long run) where staying awake was a struggle. The more marathons I have done, the more that I’ve come to accept that this is normal and all part of marathon training. There is a big difference between feeling tired because you’re run down as I mentioned above or just because you’ve had a hard run. Listen to your body but also don’t dwell too much on a tough run or a tough race and just remember that it’s all part of the bigger picture. Lesson 6, it’s not easy, if it was, everyone would do it. These are just a few of the lessons that I’ve learnt and I’m sure I’ll have many more hard ones to come. It’s all part of the crazy distance!